Does Nate Diaz Deserve a Title Shot? | MMA Fighting Events Videos Techniques UFC Fight Picks and News. Nate Diaz's performance Friday night (Dec. 30, 2011) at UFC 141 delivered above expectations. Diaz has proven that he can not only talk the talk, but he can walk the walk as well. 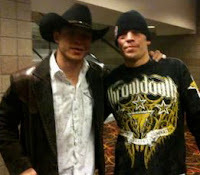 If you missed UFC 141, you missed Nate Diaz and Donald Cerrone facing off in a superb technical stand-up war. In the end, Diaz emerged victorious via unanimous decision. Diaz is now on a two fight win streak since returning to Lightweight earlier this year, and is 15-7 overall. Cerrone suffered the first loss of his UFC career, dropping to 17-4-1. The fight was awarded “Fight of the Night” honors, making it the fifth award of such kind for Diaz. In my Diaz vs Cerrone preview article, I wrote that the fighter that would be most aggressive would dominate the fight and would come out victorious. That is exactly what Diaz did; he used his reach advantage and boxing to win the battle of aggression, and with that, he kept Cerrone from using his world class Muay Thai. Diaz used his famous “Stockton Slap”, superb boxing and pinpoint accuracy to out strike Cerrone. Diaz absolutely lit Cerrone up throughout the entire fight, throwing a high volume of punches (setting a new record for accuracy of punches), which Cerrone had no answer for. Cerrone was looking to counter, but never found the opening due to Diaz’s accuracy and aggressiveness. Cerrone did have one thing working for him. In second round, he finally began throwing heavy leg kicks and connected repeatedly, knocking Diaz off balance and even dropping him a few times. Diaz would fall to his back, but Cerrone seemed to lack the confidence to follow up with anything else and instead simply allowed Diaz to get back to his feet. There are so many questions I have of Cerrone. Why didn't he utilize his head movement? Why didn't he keep kicking Diaz's legs? Why didn't he shoot for takedowns or at least dive into Diaz's guard when he was lying on his back? He was clearly losing the stand-up, so why not attempt something on the ground? He's an experienced ground fighter and shouldn’t have been afraid of Diaz's guard. Did he somehow think he could turn the corner in the striking department and win the fight? These questions will remain unanswered as only Donald “Cowboy” Cerrone can answer. So what's next for Nate Diaz? Tough call here. As I said above, Diaz is only on a two fight win streak, but his high profile win here, plus his ability to sell a fight, could move him closer to title contention. The Lightweight division in the UFC is a tough division, and every time you think someone has enough momentum to be in the hunt for a title fight, they get taken out! As a huge Diaz brothers fan, I'd like nothing more than for Nate to have a title shot next, but I think he needs to prove himself a little more and mark his territory in the Lightweight division. He should probably face the winner of Melvin Guillard vs. Jim Miller, or Anthony Pettis if he were to get by Joe Lauzon. As for Cerrone’s next fight, I’d like to see him take a nice long well deserved break. He needs to give his body the opportunity to heal, but once he's rested up, I’d love to see him go against Jeremy Stephens or Rafael dos Anjos, or perhaps the loser of Anthony Pettis vs. Joe Lauzon. Joe Silva definitely has a tough decision to make. 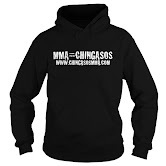 So what do you MMA fanatics think? Does Nate Diaz deserve a title shot? If not, who should he face off with next?